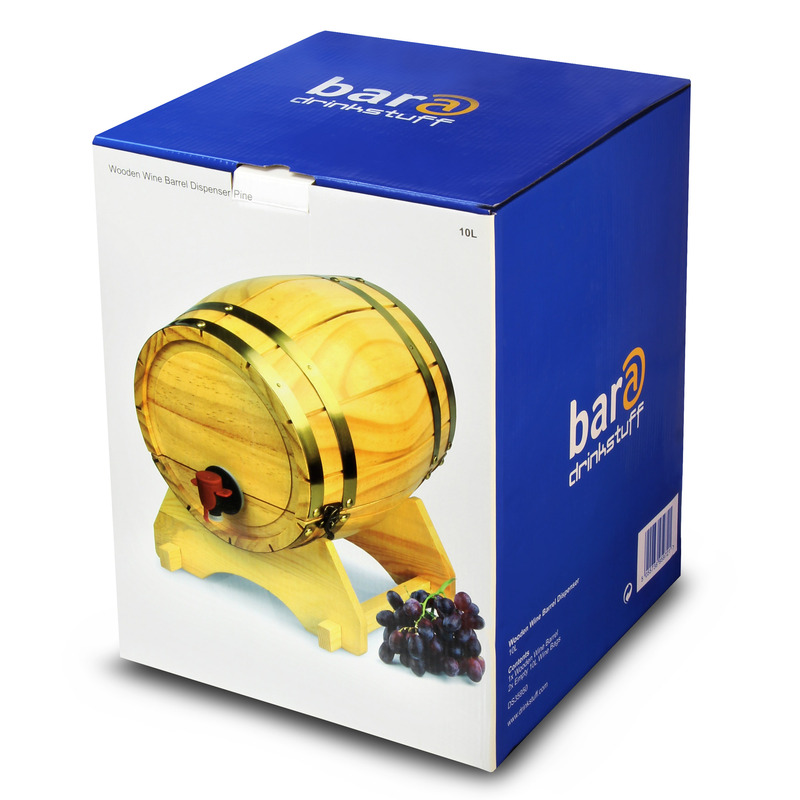 With an impressive 10 litre capacity, the Wooden Wine Barrel Dispenser encompasses the best of rustic vineyard chic. Ideal for a more traditional approach to serving fine wine, this wine dispenser is a classic look. With the ability to open the barrel up, you can refill with ease and even replace the internal wine bags for boxed wine bags from supermarkets. Perfect for refilling with your own spirits or favourite wine, this wooden barrel takes pride of place on your bar top or table.